When it comes to commercial premises, we can’t stress the importance of professional maintenance enough. Performing a good exterior building wash is a huge responsibility. Any areas left unwashed could quickly lead to corrosion. Even a small amount of mould or rust could cause major damage to building materials, so it’s best to call in the experts who can ensure every single nook and cranny is treated. It’s not enough to get on the ladder and give your building a hose-down every now and then. Regardless of the building’s height, you simply could not get to all the hard-to-reach areas without putting your own safety at risk. Manufacturers of building materials also advise that specialised cleaning is required to ensure materials are handled the correct way. You wouldn’t want to be responsible for causing damage by attempting an exterior building wash yourself! 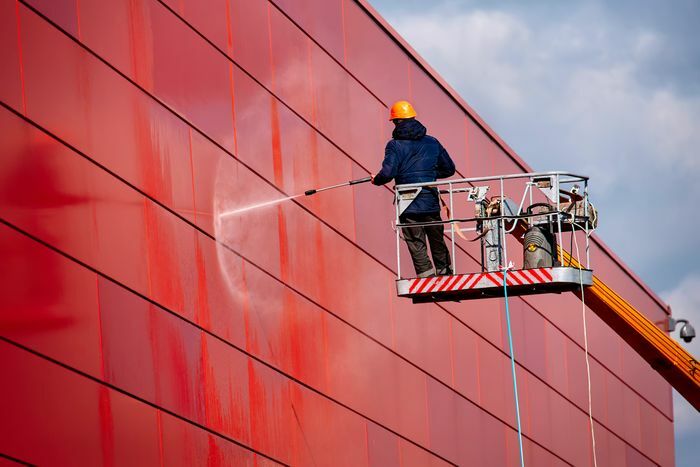 With specialised processes and equipment along with great attention to detail, a professional exterior building wash completely rids your building of harmful grime and debris. You really want to put your best foot forward from the moment visitors step onsite. If your building has seen better days, it’s very likely your customers will think your business has too. Here are Unique Services we wholeheartedly believe in first impressions. For commercial and industrial premises, it’s perfectly acceptable to judge a book by its cover. An unkempt, sloppy building can set off all kinds of alarm bells in much the same way we would be reluctant to dine at a run-down restaurant. People will find it hard to have faith in a company if the building housing the operations is poorly maintained. Fortunately, it is easy to schedule an exterior building wash and keep your premises in tip-top shape. To improve the overall health of your commercial premises, the interior and exterior need equal amounts of attention. We see many companies put an emphasis on interior maintenance. But even to the untrained eye, it’s easy to tell which buildings have all their eggs in one basket. As a building owner, you have a responsibility to your employees or tenants to provide a healthy environment. This means the whole building, not just the inside. If dampness and mould are present inside your building, you need to take a look at how it is entering. 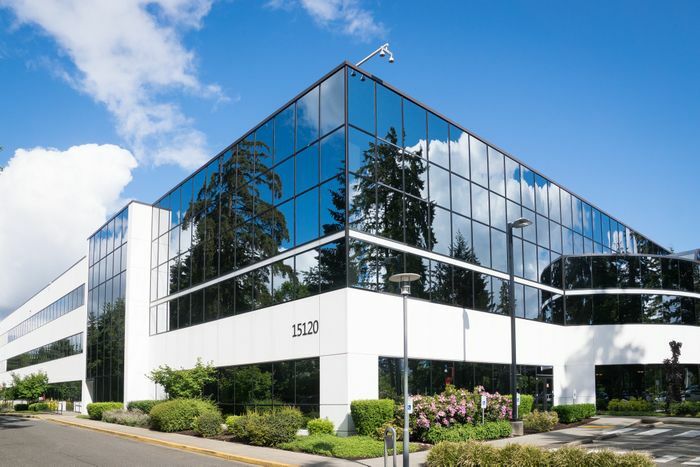 By putting equal attention into both the interior and exterior you will significantly reduce any factors that could harm the building’s occupants. It also gives your building materials a better chance at a long lifespan. We have provided many services to our clients at Fonterra over the years. From general painting to specialised cleaning, Fonterra have called us on several occasions to cover a wide range of work. We recently underwent a full exterior building was for Fonterra. 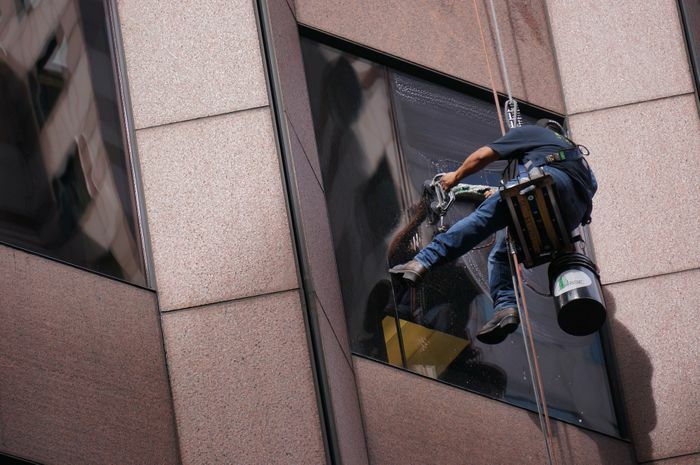 We do this as part of their regular exterior maintenance. As a long-standing client of ours, Fonterra understands the importance of keeping their premises well-presented and they trust that we will go about our services with as little disruption as possible to their 24/7 operations. During the exterior building wash for Fonterra we used a Knuckleboom to remove mould and lichen from all hard-to-reach areas. With a clean building exterior, it is much easier to see the areas that needed repairs and our proactive team handled these on the spot. It’s safe to say our clients were once again happy with the results of the exterior building wash. After all, there’s nothing like the relief of knowing your building is in great shape. The presentation of your building reflects on your company’s organisation and culture. Your customers will find it difficult to trust you to take care of their needs if you can’t take care of your commercial premises. Make a consistently good impression with a regular exterior building wash and call us today. Our experienced team will handle the job with all the right equipment and expertise.